2014 FIFA World Cup: Who can still book a place in Brazil? 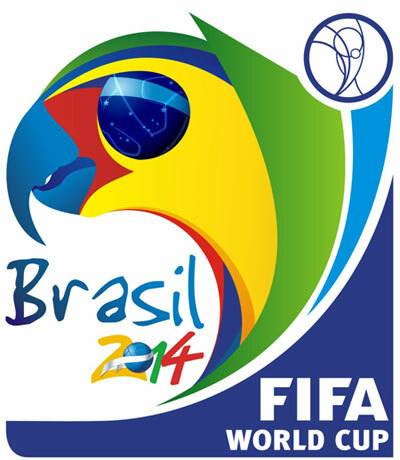 Over the next week or so a lot regarding the 2014 FIFA World Cup will be decided. The last 11 places will be confirmed and 11 teams will be staying home and missing out on Rio. Here we take a look at who has qualified and who is still in with a shot. This weekend 10 teams will battle it out in the second legs of their final qualification matches to try and take one of the 5 places still remaining for African qualification. The first legs saw Algeria beaten 3-2 at Burkina Faso, Ivory Coast beat Senegal 3-1, Ethiopia lose 2-1 at home to Nigeria, Tunisia and Cameroon play out a goalless draw and Egypt thrashed 6-1 by Ghana. The second legs will be played on the 16th – 19th of November. Definitely there: Australia, Iran, Japan, South Korea. After defeating Uzbekistan 9-8 on penalties to earn their place in an intercontinental play-off, Jordan will have to face a strong Uruguay team if they wish to proceed to their first ever World Cup. The game will be played on the 13th of November. Definitely there: Belgium, Germany, Italy, Netherlands, Switzerland, England, Spain, Russia, Bosnia-Herzegovina. Four teams will progress from the play-offs. Bosnia gained their first World Cup qualification by winning Group G ahead of Greece, who now must play a play-off to secure qualification. Russia drew with Azerbaijan, which was enough to see off Portugal and win Group F, while England topped Group H with a 2-0 win over Poland. The likes of Germany, England, Spain and Italy amongst others have secured qualification and now the eight runners-up must face the play-offs. Greece face Romania, Portugal take on Sweden, Ukraine must tackle France, and Iceland are handed the task of Croatia. The two-legged ties will take place on the 15th and 19th of November. Definitely there: Costa Rica, United States, Honduras. Mexico, who finished fourth in qualifying, face Oceania winners New Zealand in a two-legged intercontinental play-off, much like Jordan and Uruguay. After a 2-2 draw with Jamaica, Honduras took the final automatic qualification spot and therefore Mexico need to win this play-off to go through. This qualifier will take place on 13th November. New Zealand completed the Oceanic qualifying stages with no real difficulty and now face a strong Mexico side, who have qualified for each of the last 5 World Cups, in a play-off on 13th November. Uruguay must take on underdogs Jordan to qualify for Brazil after finishing 5th in their group. They were level on points with Ecuador however a poor goal difference let them down. They are largely favoured to go through to the World Cup, but new boys Jordan won’t go down without a fight. So there we have a roundup of who’s qualified for the 2014 FIFA World Cup and who still has a chance of making it there. It could be a nervy few days for some of the bosses, one bad decision could lead to qualification failure. Whatever the outcomes are, we’re in for a week of drama, controversy and a whole load of goals.